Blansdowne - 5, originally uploaded by funkaoshi. Richard Monigat takes a break while painting a new mural on the North side of Bloor West of Lansdowne. 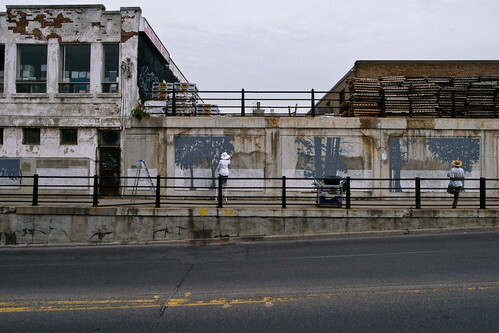 It mirrors the one painted last year, though the North mural features trees in bloom. We'll have to wait and see how else the two murals will differ. This one is off to a great start.